Property Investing 101: What does the London property ladder look like now? What does the London property ladder look like now? The property market has changed and the buying habits of home buyers have changed with it. Here are the five key stages in 2017. The London property market has changed beyond all recognition in the past eventful decade and Londoners' expectations have had to change with it. 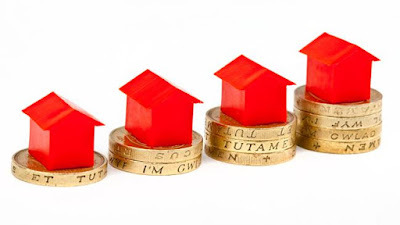 Successive stamp duty changes have increased the cost of moving home and investing in property, while stratospheric price rises means there are now far fewer rungs on the ladder than in the past, with many no longer able to rely on the equity in their current home to make their next purchase. Here we look at the five key rungs on the property ladder now, and how buyers can get there. With the average first-time buyer deposit in London hitting £100,400, very few can afford to buy anything within spitting distance of inner London, even with substantial help from the Bank of Mum and Dad, who are a shadowy presence in the background of many first home purchases, says Robin Chatwin, head of Savills south-west London residential. Buyers who aren't fortunate enough to have an enormous donated deposit must now seek out other routes to the first rung of the property ladder, be it Help to Buy or shared ownership. Two-bedroom flats close to public transport if possible. Not too long ago the first flat would be a two or three-year commitment, before cashing in on a healthy capital gain and probably a payrise and trading up the ladder. Nowadays, however, moving is expensive and the payrise is non-existent, so buyers expect to spend a good five years in their first home and need to account for all the life changes that may entail. And while first-time buyers might not start the buying process with the intention of becoming experts in the finer points of grouting, many of them get a bit of a shock when they see just what their budget will buy. The first-timer’s budget starts at £300,000, says Chatwin, but for that they’ll have to get to know Tooting, or even Croydon, rather than Fulham or Clapham. With a very well-paid job and some serious parental help, the budget can sometimes stretch to £700,000, in which case they won’t struggle to find a nice two-bedroom flat anywhere in south-west London or across the capital. Fast forward a few years from that first buy and many starter home owners have settled down, partnered up and may have at least one child running riot in that now nicely fixed up flat. While they may have thought that getting on the ladder was the most difficult thing to achieve, many would-be second steppers are now finding that moving up it in or near where they currently live in is nigh on impossible. And they're discovering that maybe it's not as essential as they once thought to be able to stumble home from the club in 10 minutes or less. Savills research shows net out-migration from London of those in their thirties rose 68 per cent between 2012 and 2016. Second steppers are seeking space and are quitting the capital to find it. Their jobs are still in the city, though, so their new digs must be an easy commute, meaning the Home Counties are getting a new lease of life. If you’re moving out of London for a more family oriented lifestyle, you can’t beat a house with a decent garden in a pretty Chiltern village, says Chris Moorhouse, head of Savills Beaconsfield office. Penn is the archetypal traditional village with a village green, duck pond, deli, village shop, sports and social club, three pubs, two churches, and two junior schools. Other villages are less well equipped but you can get “about 10 per cent more house for your money.” The ideal house for this demographic is “probably an old rectory with a traditional character outside but iPhone-controlled lighting and Sonos inside,” Moorhouse says. London leavers are saving an average of £246,655 by selling a London home and buying outside the capital instead. Many of those moving from expensive parts of inner London are likely to have a bigger budget to play with and are moving to spread out, rather than release capital. Moorhouse estimates that many of his buyers have between £1m and £4m to play with. Living in London or the Home Counties these 40-somethings are looking for an easily accessible seaside spot. Their children are too young to need help buying their own place and still happy to spend sporty weekends windsurfing or sailing with their parents so an inheritance windfall or bonus from work – most second home buyers on the east Dorset coast work in property development or finance, according to Keith Fensom, head of Savills Canford Cliffs office – will be invested in a holiday home. The stretch of coast between Bournemouth and Poole is enduringly popular with landlocked Londoners looking for a seaside retreat, which they can get to in two hours or less on a Friday evening after work, traffic permitting. Sandbanks, the small spit of land crossing the mouth of Poole Harbour is the most prestigious, spot but this entire coastline fits the bill. There are restrictions on letting out apartments in this area for less than six months, says Fensom, so there is little additional income to be made from a seaside home. It also means properties are likely to stand empty for extended periods so the more secure and the less maintenance required the better. For this reason many second home buyers opt for modern lock up and leave flats with maintained grounds and high security, rather than leaky but charming period houses. Two or three bedrooms are plenty for the weekend but that coveted sea view may command too large a price premium. Budgets range from £250,000 to £2 million but the number of buyers has fallen from 32 per cent in 2016 to 24 per cent this year since the three per cent stamp duty surcharge was introduced for second home buyers last April, says Fensom. A UK holiday buy is still seen by many as a safer investment than one in Spain or Portugal though, especially with an unfavourable exchange rate. Nonetheless, “a second home is a discretionary purchase, you don’t need to buy one so people are put off by political uncertainty,” he says. The three per cent stamp duty surcharge, increasing mortgage regulation and reduced tax relief have all helped dampen investors’ appetites, especially in increasingly pricey London but with low interest rates making savings look pitiful, there’s still some demand from investors looking for a decent long term return. And despite higher rates of stamp duty in Scotland than in England, Peter Lyell of Savills Edinburgh says the Scottish capital is still enticing London investors with the promise of long-term capital gains. University towns are popular with investors for the obvious reason that they provide a ready turnover of students needing homes, and Edinburgh has six higher education institutions. It also has excellent links with London for the professional market so the city’s reputation as a safe investment is unsurprising. “Edinburgh’s been remarkably resilient through the financial crisis, the independence referendum, the election and it has recovered quicker than other Scottish cities. There’s a perception that capital values are more likely to rise here than elsewhere in Scotland,” says Lyell. Attractive, period stone-built houses in central locations close to university buildings and the city centre, which have already been converted into student lets are an easy buy for Edinburgh investors. The buy-to-let market is dwindling, so investors tend to have amassed a lump sum, either through inheritance or by releasing equity from their main home and are buying with cash, says Lyell. This means budgets tend to be between £200,000 and £500,000, where the stamp duty burden is also less punitive. Downsizers are regarded by everyone below them on the ladder as the ultimate winners of the property game. The over-65s own £1.5 trillion in combined housing wealth having seen the value of their family homes, often large and in popular areas, increase to unprecedented levels. They’re aware of their good fortune and many of them are only too eager to help their children onto the ladder. If that means exchanging the family house for a glamorous new home abounding with luxurious features, so be it. Downsizers accounted for one in five Savills new home buyers over the past four years but, while they may be releasing some equity by moving, they don’t want to sacrifice on space for visiting family and a lifetime’s worth of treasured possessions. With large budgets at their disposal they are often trading up in terms of luxury, opting for developments that offer all the best facilities as well as impeccable design and specification.